The 2014 Wandsworth Common Halloween Beer Festival takes place from Weds 29th October to Sat 1st November. Wednesday is a special preview night - pay £25 for all the cask ale you can drink (possibly some ts&cs, I imagine...), and then from Thurs - Sat you pay £5 on the door. 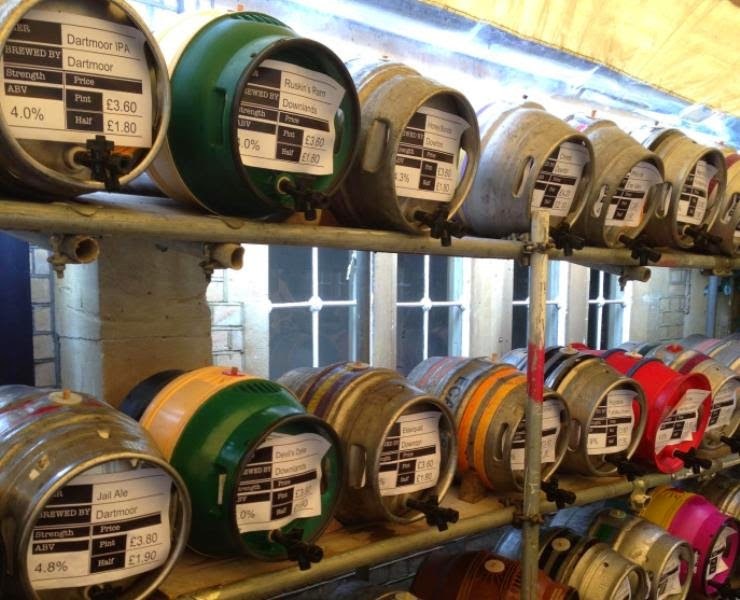 It's always a good festival, and with over 100 cask ales, and 25 ciders you can't really go wrong. WED: Preview night is pre-book and pre-pay NOW only £25 - EARLY BIRD! Every year at Halloween time Le Gothique hosts an annual beer festival. The Wandsworth Common Halloween Beer Festival showcases regional and micro breweries from around the country. LIVE MUSIC SATURDAY: is THE JO BURT EXPERIENCE"
Tickets - £25 on the Wednesday night in advance only from here, then £5 on the door for the other days, Booking in advance on Eventbrite saves you time on the door!